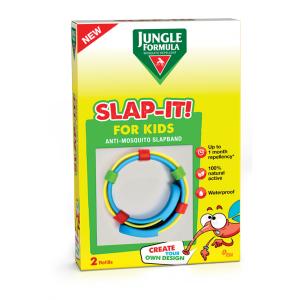 Anti-mosquito slapband for kids with 100% natural active. Ideal for outdoor activities and daily home use. Convenient and easy to use protection for kids.